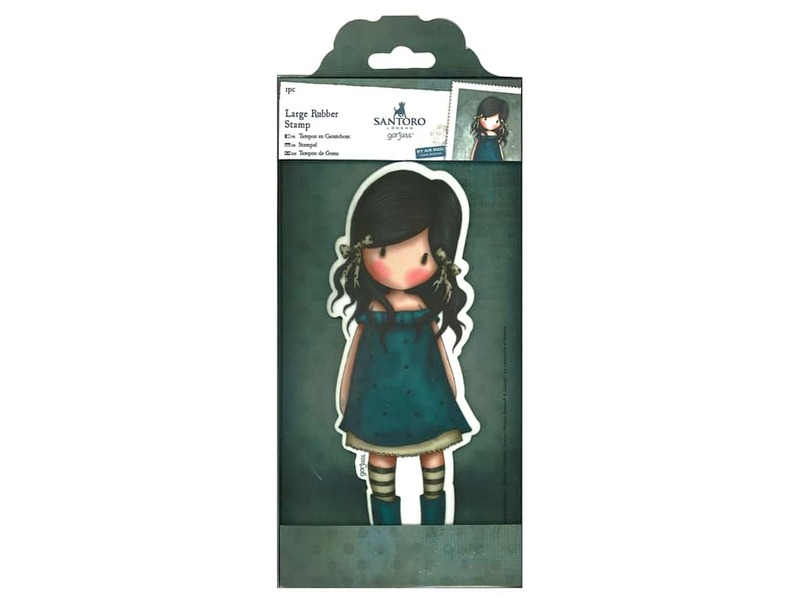 Description: Docrafts Santoro Gorjuss Stamp Large You Brought Me Love- Cling rubber stamp. Little girl with off the shoulder straps on her dress. Features Santoro signature striped stockings. Measures approximately 2.75 in. x 7.63 in. Apply to a clear block to use, remove and clean with soap and water when done.